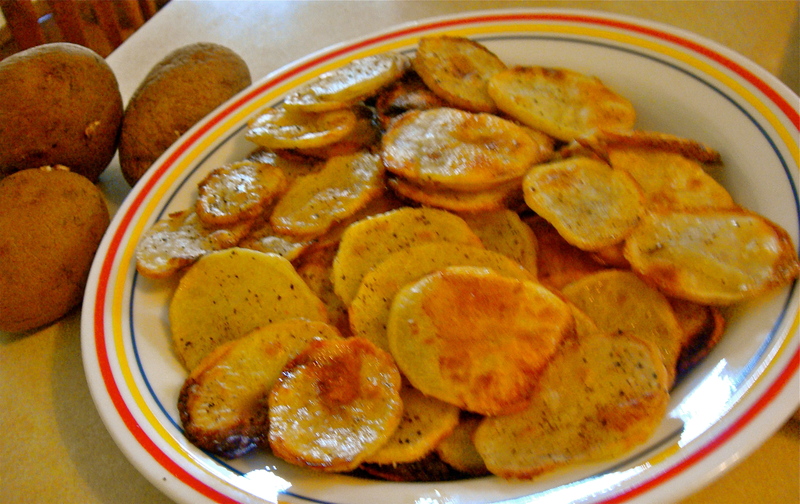 Usually, I’m not a big potato chip fan. Sure, they’re good, but the grease and seasoning from the chips always seem get on my hands and drive me crazy. Personally, I’m more of a plain tortilla chip girl 🙂 However, these baked potato chips are the exception. I can control the seasonings I put on them and no greasy hands! These directions took me a while to prefect because the potatoes burn so darn fast. You may have to decrease or increase the oven time, depending on your oven and crisp preference. But believe me, the end result is worth it. The only problem with summer is that I can no longer enjoy my hot soups. Which is why I so dearly love this cold one. Yogurt and cucumber are common ingredients, so it’s really easy to put this together. 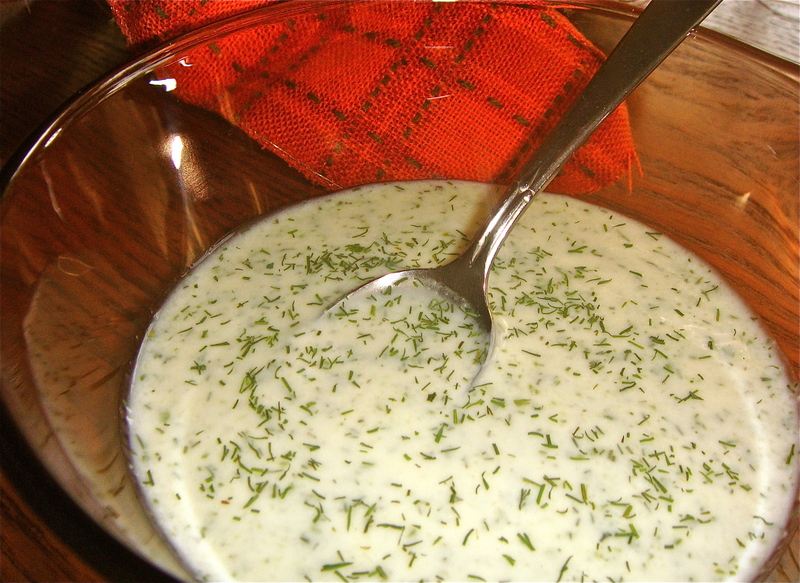 Before now, I always called this yogurt-cucumber soup. But as it turns out, this is pretty much a spin off of the Bulgarian traditional soup, Tarator. The only difference is, I didn’t use oil or chopped nuts (out of pure laziness). Still, this soup helps with my hot-soup-withdraw during the summer. Enjoy! In a food processor, puree the cucumber until it becomes liquefied. Add in the rest of the ingredients and pulse until soup-like. Chill in the fridge until ready to serve. It is now the start of summer, well the unofficial start anyway. And the weather agrees. 90 degrees in May! My sunburn proves it. So what better way to cool off with a refreshing appetizer? Light and simple, it’s the perfect way to cool down. In a bowl, combine all the ingredients except the cucumber and garnish. If you want to be fancy, peel the cucumber so that strips of cucumber skin are left. Chop cucumber into 1/4 inch slices and sprinkle them with salt and pepper. For each slice, top with a tablespoon of the shrimp mixture. 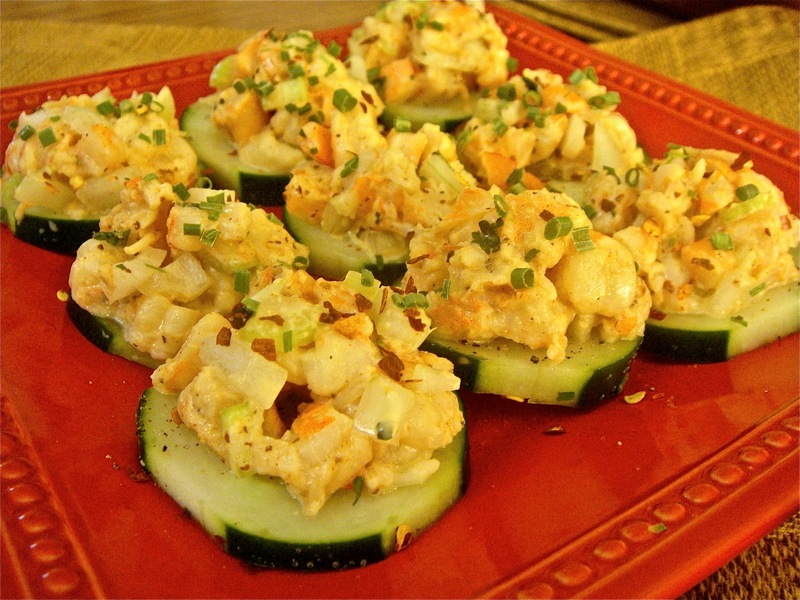 Garnish shrimp cucumber slices with chives and red pepper flakes. Let chill in the fridge for a bit before serving. Enjoy! My name is Deanna and welcome to my blog, Health without Sacrifice. I’m a college student exploring the world of nutrition and healthy foods while still enjoying every last bite. I was introduced to a healthy eating style about 7 years ago, when my dad started researching and bringing home organic foods. Being a teenager, however, I rebelled against every last vegetable and continued eating junk food whenever I was away from home. About a year ago, I wanted to get into shape and try again with this healthier eating style. Turns out, I love it! A few months after changing my eating habits, I noticed I was looking better and feeling a lot more energized. I also found out that I love cooking. I like creating recipes that are affordable, easy, and most importantly, yummy! So why not start a blog for my tested and approved recipes? Eating healthy gets a false and bad rep. People often think nutritious foods and say who wants to eat celery all day long? But eating real and nutritious foods in no way limits your ability to enjoy a variety of yummy foods. I try to avoid highly processed foods and focus on real and organic foods in their more natural form. My goal is to come up with recipes that are healthy while not sacrificing delicious taste.